A city break is so fast paced that I find a laid back approach to beauty day-to-day is the best option. Who wants to spend ages doing perfect make up for it to pretty much melt away in the Barcelona heat? 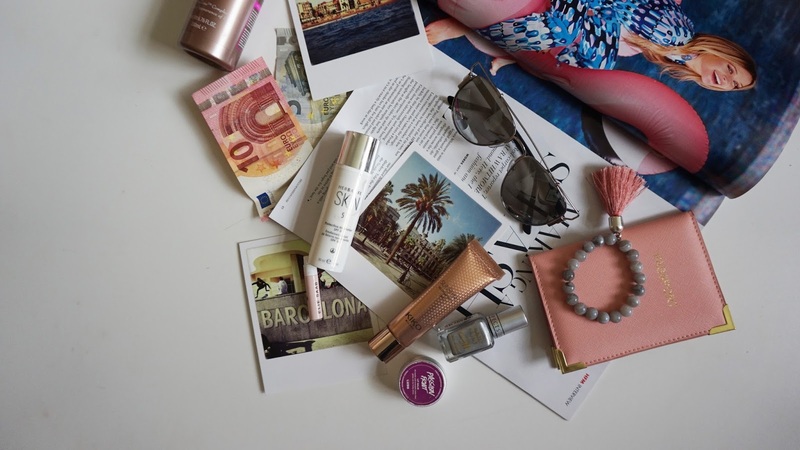 I thought I would round up some of my favourite beauty products from my Barcelona holiday (you can read the post of the trip here). I was first introduced to the new DD cream at the launch of the Glasgow Buchanan Street store. They kindly gifted us a voucher and this was one of the products I picked (I will be doing a full post on all the other Kiko pieces soon). I usually wear Estee Lauder Doublewear, but I’m really trying to get away from such a heavy base, especially for holiday. 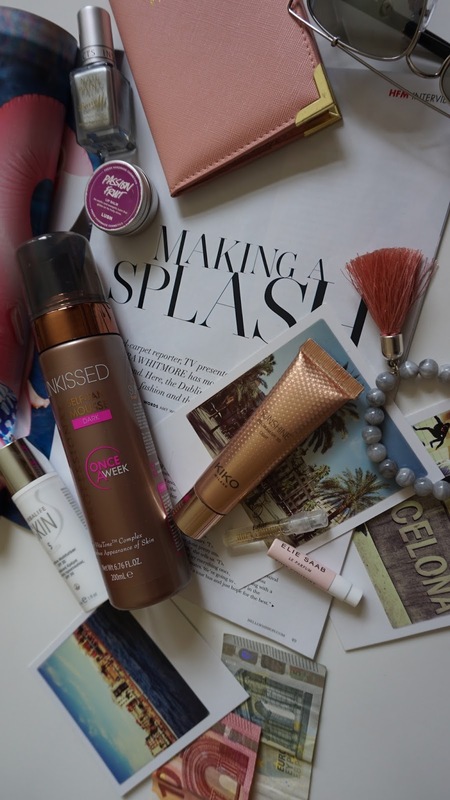 I like a fake tan so I thought I would need the darker shade, but I ended up buying shade light which was the perfect for a bronzed look. With a SPF 30 I used this when I was out and about and it smells of holidays due to the sunscreen (I LOVE that smell!) plus gives your face a subtle bronze. The only downside is the tube is small (30ml) so it’s running quite low but probably because how much I’ve used it! I can’t find it on the website, but it’s still available in the Buchanan Street store and it had 30% off which makes it around £7 I think, so worth the money! 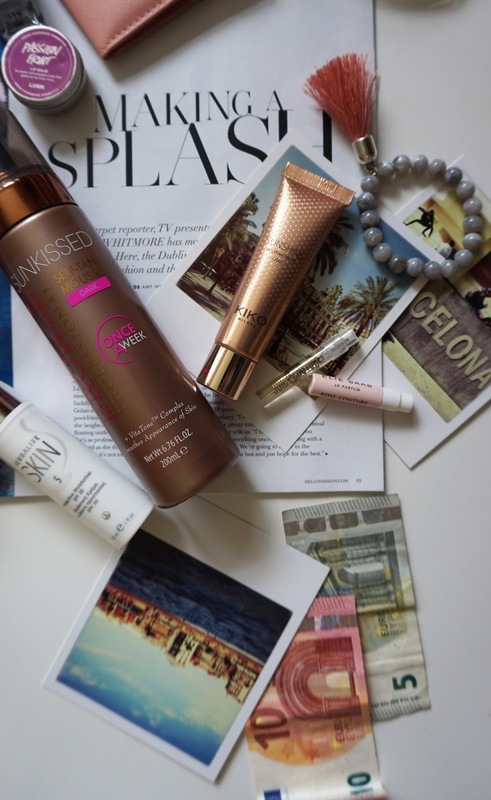 You’ll know by now that my favourite budget fake tan is the Sunkissed range so I was keen to try their Once a Week Mousse. I got the dark shade because, let’s be honest, I love a good golden faux glow. I love that it is a mousse which I feel helps stop any streaking and I let it develop for 6 hours (they say 1-4 hours, but I always like to make sure I go the darkest!) before washing it off. It was a nice bronzed colour, but I wish it was slightly deeper after washing the guide colour off, but that’s just the fake tan addict in me! For someone who wears tan everyday, I didn’t think it really lasted me the full week but I kept it topped up every 2/3 days and it didn’t cause any horrible build up. I would definitely recommend it for anyone who wants a nice bronzed look, not too dark. So we have all heard of Herbalife, but I had no idea they even done skincare until their lovely PR team got in touch. With an SPF 30, the directions are to apply liberally after cleansing and toning in the morning before you head out in the sun. I felt the serum was really refreshing, the smell is really summery which is nice first thing in the morning! 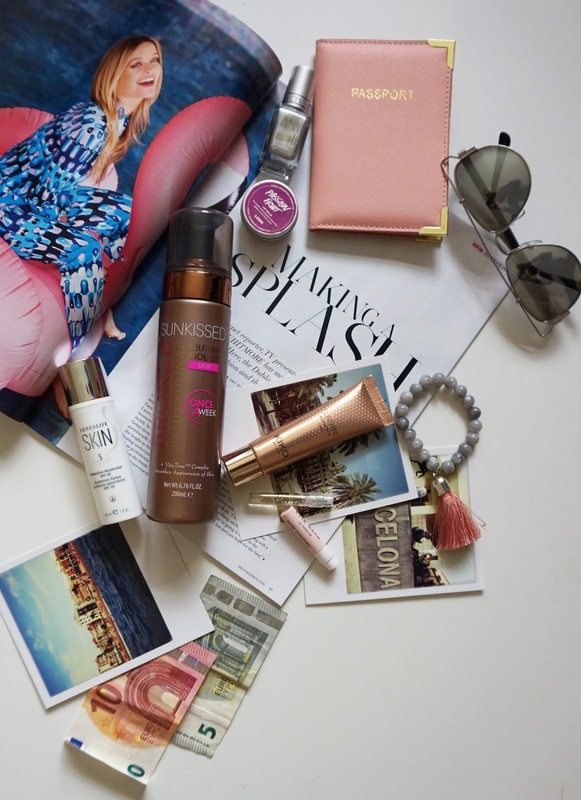 At 30ml it is a great travel essential as you can carry it on the plane with no problem and is a great way to ensure your skin is protected everyday, at home or on holiday. I’m not normally a big Lush user, not that I don’t like them, I just don’t ever seem to use their products (apart from their famous bath bombs). I think I got this in a goodie bag and used it when my lips were feeling dry a few months ago – and wondered why I had never used it before! It is seriously amazing, it smells so fruity, makes your lips feel lovely and smooth and is easy to open and close (Vaseline is the bane of my life when trying to open when I have my nails done). It’s now a firm fixture in my make up bag and I used it constantly in Barcelona. With so much running around on a city break, sometimes you need to just grab a quick snack and eat it on the go. I find carrying a hand sanitizer a really good thing to have in your handbag to quickly clean my hands before eating. I love the fun edition range of Carex hand gels, the strawberry laces bottle is so cute and smells yum for a sanitizer! When taking only a carry on bag, it can be so hard to find a perfume which won’t take up too much valuable liquids bag space. I think the perfect solution is taking mini versions of perfumes you love. You might have remembered this post on The Perfume Society’s Discovery Box and they kindly sent me another out a few months ago. I much prefer the scents this time around, perfect for summer. I took a few of the little samples with me to save space. I used to always get acrylic nails done for holiday, but I’m loving shorter nails at the moment with metallic shades. It looks lovely against a tan and feels a bit more special than just a standard nail polish. For maximum impact, add a top coat of glitter. Saves you money on nail extensions = more pennies for cocktails (money well spent). 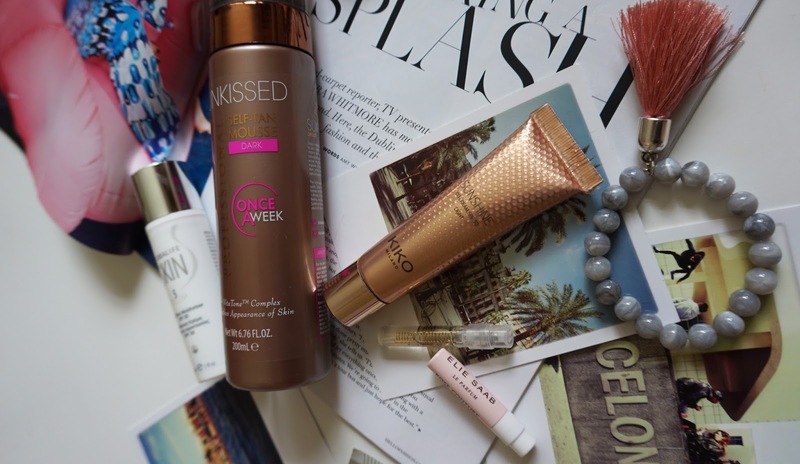 This post contains some PR samples, however all products are products I genuinely use.